Workforce Partnership is dedicated to building a workforce that is skilled, adaptable and work ready. Our staff will design a customized talent solution based on your company’s needs to assist you in recruitment, training, retention and expansion. Every employer large or small needs access to qualified candidates. Workforce Partnership can connect you to a network of candidates seeking new opportunities from highly skilled individuals to entry-level workers. Some job seekers may have extensive experience, but have been recently unemployed due to a lay off or business closure. Others may be just now ready to embark into the workforce. We also work with many veterans with specialized skills, as well as those looking to work for an employer who will focus on their abilities instead of a disability. Some of our job seekers may be under-employed and looking for on-the-job training opportunities with you. Workforce Partnership is here to support the Economic Development of our communities and that includes supporting employers of all types and sizes. Small companies without an HR department may use our services to assist with all aspects of their HR needs. Larger companies may use us as a recruiting partner or participate in our job fairs to build their candidate pipeline. 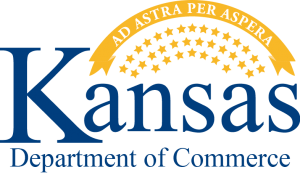 Employers can post their positions on KANSASWORKS and meet their OFCCP requirements. They may also use our facilities to conduct interviews or hiring events. If your business needs to downsize, we can assist your impacted employees. In addition to recruitment assistance, we can also develop on-the-job training programs, customized training programs, internships, and Registered Apprenticeships for your business - and in many cases, do so at a 50% reduction in the wages you pay during that training period. Contact Our Business Services Specialists. We will need your job title and KANSASWORKS account number to start the recruiting process. See information below on setting up a KANSASWORKS account. 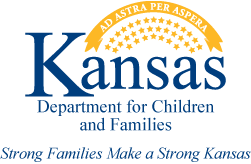 The first step to working with us is setting up your KANSASWORKS account. After you create an account, Contact Our Business Services Specialists. We will advertise your open positions in our Hot Jobs advertisement that is and emailed to hundreds of job seekers. We will need your job title and KANSASWORKS job number to start the recruiting process.